…that you want to see in the world! In today’s world it’s obvious: Change is essential! What do you want to change in your life – on both a large and small scale? What has to give way to something new? Where do you stand in your own light, how do you take the next step into freedom? What has to be transformed? How do you develop the qualities and characteristics you want to see in your life? “If you want a fascinating life, be fascinating!” Guided by the words of Gabrielle Roth, the founder of the 5rhythms, we will take a week of quality time to explore these and other questions within a group of moving spirits. Free and conscious movement will support the journey into ourselves. We will express what we meet, breathing, sweating, opening to whatever evolves. There will be time for exchange or just being with the experiences in stillness. Flowing connects you with the special part of the earth that we all inhabit: the body. Finding safety and comfort in the body is a prerequisite for gaining the courage to change. Staccato teaches you to deal with your fiery energy. You explore ways to connect your intention with your intuition and your instinct and find clarity. It’s essential to know what you want and what you don’t want to surrender into the next rhythm, Chaos, and trust its transformative power. You will rise anew and free in Lyrical, finding your unique dance that nobody will ever dance but you. Supported by air and space, nourished by breath, it will lead you into the 5th element, and the last rhythm, Stillness. This is the phase of integration, honoring the new wisdom and the renewal. We will explore, move and dance for change and embody the qualities of reawakening supported by the transformative power of the 5Rhythms experience. We will work in two dance units per day. This workshop is for everyone who is eager to make conscious and embodied changes in life. It will support you in the midst of a transformation process or if you just went through a life-changing event. No prerequisites required. All you need is a willingness to move freely within a guided group. Social- and Low Income Country price on request! Flight and accommodation are not included in the course fee! Rooms are booked out. Only space for one own private tent and in a fix built tent available! 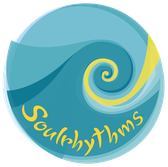 Certified by Gabrielle Roth as 5Rhythms Teacher on Waves level. Member of 5RTA and ICMTA. 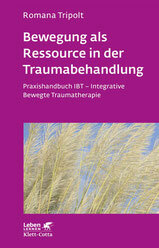 Experienced psychologist and psychotherapist, EMDR Europe trainer, developer of the Integrative Movement Trauma therapy, author of Bewegung als Ressource in der Traumabehandlung (Movement as a Resource in Trauma Therapy; 2016, Klett-Cotta). Romana leads and guides deep transformational processes that open up the lightness of being. Graduated from Lodz Film School in 1985 and has twenty years’ experience as an actress in theatre, film, and television. Fascinated by 5Rhtythms, she completed her training at Waves level six years ago and Heartbeat level two years ago. "YES to the HERE and NOW"
“Your body is the voice that sings what there are no words for"